When I started Antisyn back in 2008, I had been a business IT consultant for many years. I was very successful at helping businesses through improvements in technology and wanted to make sure we could continue that spirit in the company I was creating. As I began building my team around me, I realized that I was no longer going to be involved in every single interaction, and that if I wanted to duplicate my success across an entire team, I was going to have to figure out how to duplicate the experience I had provided to clients over the years. So, I initially put a lot of thought into what had made me so successful at delivering a better experience for the clients I had helped throughout my career. Pretty quickly, this turned into a personal obsession with how to consciously build a culture that captures the essence of that approach so that every member of my team would be able to deliver the same type of experience. Antisyn’s core values were born out of that intense self-reflection and drive to build an entire team that could deliver an amazing experience. Today, our first core value is “Focus on the People”. While the concept sounds simple, our understanding of how to best embody it and apply it to our company has continually evolved as our company has grown and changed. Three companies that have greatly influenced this core value for us over the years are Rackspace, Disney, and Zappos. All of these companies have a very people-focused approach, but they each do it in different ways. As I look back on the progression of our company, I’d like to share some of the insights we’ve gained from the unique approaches of these other industry leaders. When Rackspace’s founders started the company, they were faced with a problem. There were already a TON of companies that provided the same technology services that Rackspace did. 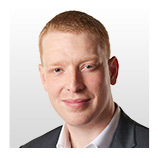 How would Rackspace differentiate themselves from the pack? While great technology was the cornerstone of the business, the company quickly decided that fanatical support would be their defining philosophy. People and fanatical customer support became their primary focus, and they just happened to be providing it in the technology business. While most technology companies were focused on hardware, software, terminology, and code, Rackspace believed that providing world-class service was far more important than the technology itself or how many gigabytes of space they could provide. This has been one of the cores to their success over the years, by building a reputation of providing “Fanatical Customer Support”. At Antisyn, we’ve fully embraced this philosophy. For us, it’s about the people, not the technology. Our mission is to help our clients succeed in their businesses, technology just happens to be the instrument we leverage to do that. The legendary client experience culture at Disney was another great inspiration for the values I wanted to bring to my own clients. 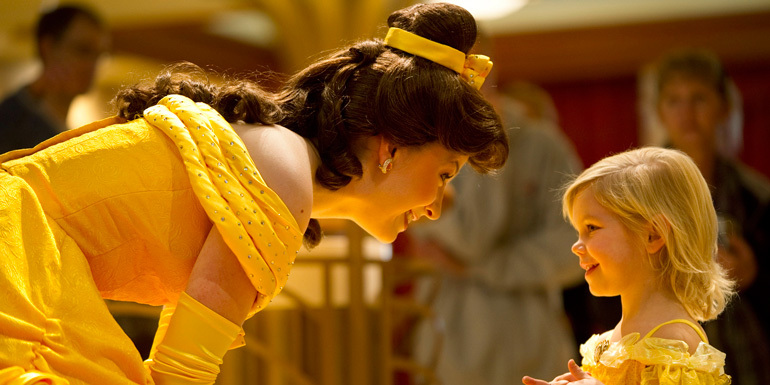 At Disney, every employee from the grounds crew to the CEO is focused on creating meaningful experiences for clients. And one of the ways they do it by emphasizing tone and delivery. The commonly asked “What time is the parade?” question is the perfect example. For years, the iconic Festival of Fantasy Parade started every day at 3pm. Same time, every day. Yet this was one of the most frequently asked questions in the park. While our day-to-day at Antisyn is rarely about magic, entertainment, or amazing rides, we can still provide a memorable experience for each client we serve. The key is understanding what clients need, and delivering on that while focusing on shaping a positive experience for every client we work with. When our clients call us, they aren’t calling because everything is great. They’re calling because their world is on fire, something is broken, and they need help right away. So, the experience we want to create is one that reduces stress and focuses on our clients as people. They need to feel that they aren’t just another ticket in our system or a problem to solve. They need to feel that we care about them and about their business. Our clients need to always be able to trust that we’re here for them and that what’s important to them is important to us too. 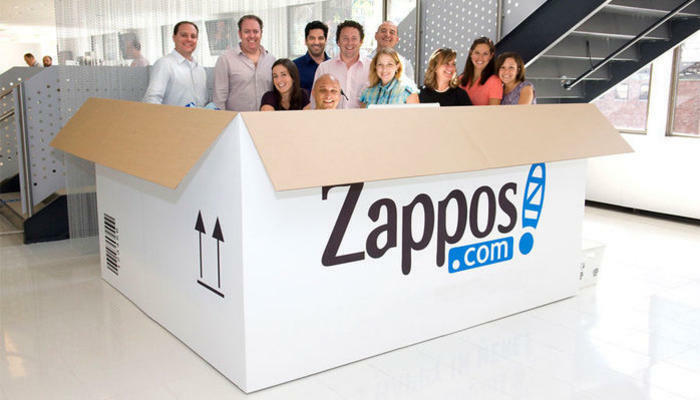 Like Disney, Zappos is also known for creating amazing experiences for their customers. It’s so important to them to do so, that they have intentionally created what they call a “customer-obsessed culture”. And one of the critical shifts they made to cultivate that culture was a 360-degree view of customer service experiences. They believed that the mindset of a “customer-obsessed culture” isn’t something you can just “turn on” when you’re talking to customers. Instead, they found that the interactions between customers, employees and vendors were all inter connected. This meant that the only way they could deliver a truly amazing customer experience was by creating positive experiences with EVERYONE who interacts with their company in any capacity. This shifted my perspective. No matter how client-focused I’ve always been, I realized I was missing a big piece of the puzzle. My employees and vendors are integral in the experience we provide for clients. If they are happy, they’ll go out of their way to help us succeed at helping our clients. In fact, caring about ALL people, not just our clients, tends to result in a waterfall effect that creates more amazing experiences across the board. While Rackspace, Disney, and Zappos have been hugely influential in shaping our “Focus on the People” core value, they aren’t the only ones. And they won’t be the last ones. Like most things in business, our core values weren’t created in a vacuum and they continue to evolve as our company evolves. I’m continually influenced and inspired by other entrepreneurs and always look for ways to further improve our company’s overall culture.